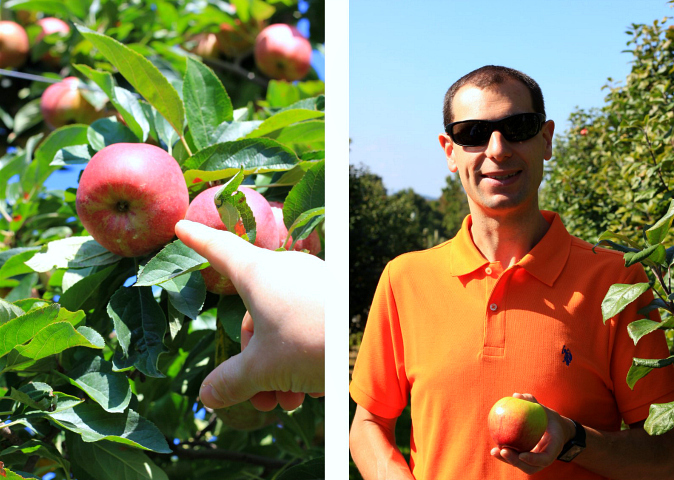 every fall we look forward to apple picking! 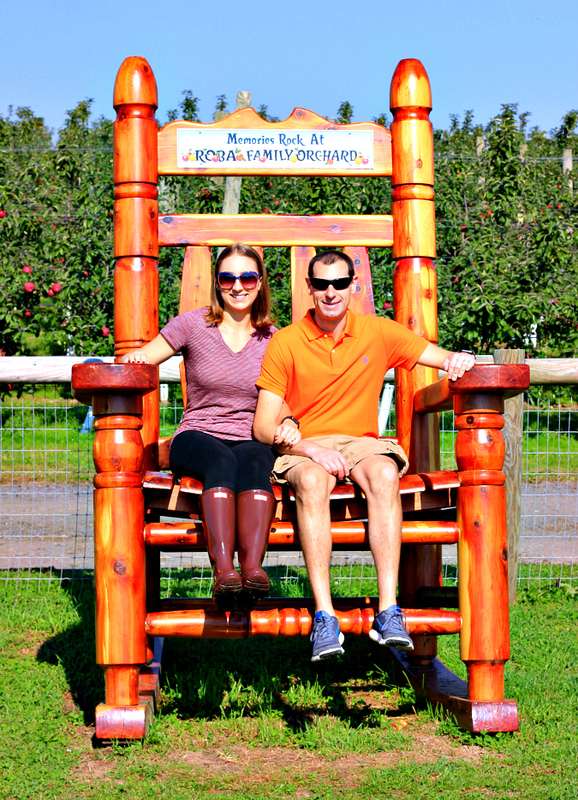 it is one of our favorite fall activities, and there is a beautiful apple orchard near us which is nothing short of picture perfect. on saturday morning, we went apple picking with our families. there is just something about walking up and down the rows and rows of apple trees that puts you in the mood for fall! we picked (and ate) several different varieties of apples. even though it was a bit humid, the sun was out and shining, and it was a gorgeous fall day! so far we made a baked apple pancake for sunday morning breakfast with our apples, and we've been enjoying eating them too. i'll have to get my favorite apple recipes out for all of those apple that we picked! We enjoyed apple picking. What great weather to do that and such beautiful views and a well-kept orchard. I already made apple bars and sweet potatoes and apples. I might need more apples! Great photos! What a pretty place that is and so well-kept and organized! It was fun. So far I have made baked apples and have just eaten some plain. You can't beat just-picked apples.